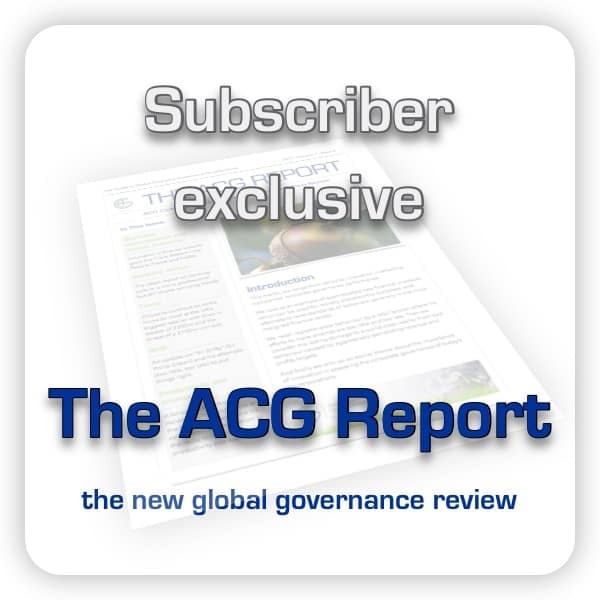 Applied Corporate Governance is a campaigning, research and training organisation with global reach. We are here to help individuals, organisations and indeed nations achieve SUSTAINABLE GROWTH for the good of all people and the planet. We take a different approach to corporate governance. We are not about regulation and box-ticking, which has been proven time and time again to fail to prevent scandal, collapse and even global financial melt-down. Yet through our approach, compliance will happen almost automatically and we even provide the tools – both procedural and software – to ensure accountability and transparency and so actual compliance. Access a wealth of case studies and in-depth articles in our blog and Members Area.